Bio: Review based on Xbox One version. 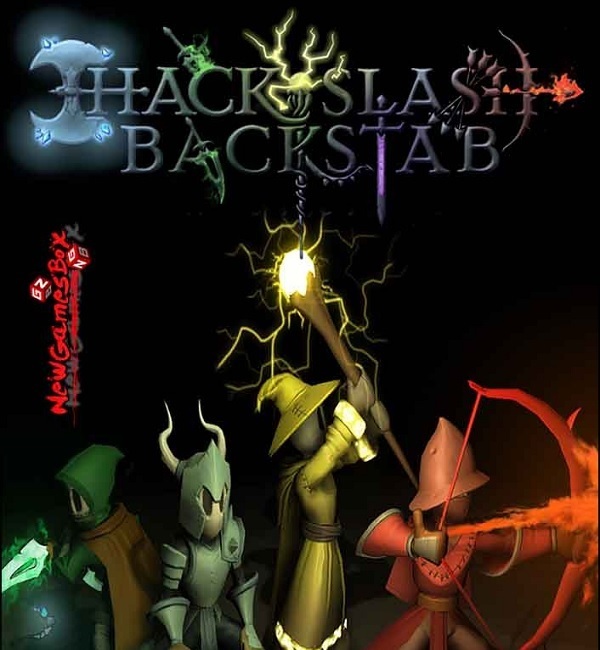 Hack, Slash & Backstab is an independent student project that recently hit the Steam and Xbox One marketplaces. Students at Rochester Institute of Technology’s Center for Media Arts Games Interaction and Creativity also known as MGIC Spell Studios, the developer and publisher behind stealth puzzle Tron knock-off A.V., tries their hand at capturing the nostalgia of couch co-op titles like Gauntlet and Dungeon Seige at a discounted title. But this title has a catch that can threaten your friendship status forever: Only one person can leave the dungeon with all the riches. That said, is this one even worth the couple bucks to own, or is it best left sitting in the corner ignored? 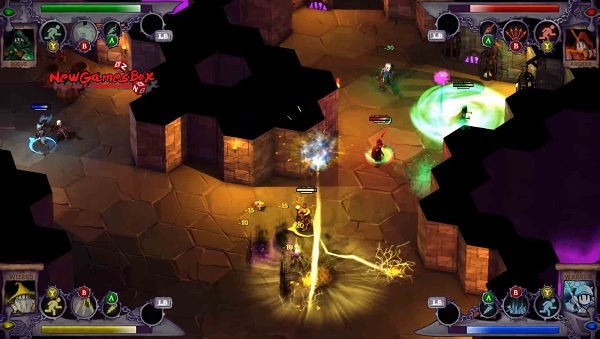 First of all, Hack, Slash & Backstab is built up like a local co-op dungeon crawler with a twin-stick shooter aesthetic, but it just isn’t adhered to at all. Instead of Gauntlet crossed with Geometry Wars, you are given Ikari Warriors with generic 3D rendered characters that look like something from a Unity asset store. This leave you having to run around and aim with left stick, all the while attacking and dodging based on what the power meter has strength to do. Light attack is a, heavy attack b, dash y, and none of it feels right. Even the triggers and bumpers attack instead of one keeping you in place so you can turn around and attack instead of running around desperately trying to aim or anything of benefit to any situation you find yourself in with this game. Oh, and god help you if you get hit or bumped as that can sometimes turn your character around and find yourself wasting strength and precious seconds attacking a wall, corner, or anywhere but the oncoming hordes of digital death machines. On top of that, all the enemies just respawn almost immediately. Foes pop out of thin air and proceed to rush you rooms away like the hordes of zombies in Left 4 Dead. Even if you crush their starting point (such as sn egg sack for spiders) they still come back while others in nearby rooms charge head-on to your location. You’ll think you cleared plenty of ground and suddenly find yourself overwhelmed and, if swarmed with little to no elbow room, even your dodge maneuver can’t save you and you’ll be decimated in seconds. It’s non-stop aggression that makes the title on any difficulty beyond the easiest impossible without four players to cover every angle, and even then it can still prove incredibly difficult. And this is where the biggest problem of the game comes into play. There is no on-line multiplayer. I know this is designed to be a couch co-op title and, yes, the PC version has a screen sharing option. But, beyond that, you need four players sitting down in the same room for local co-op only, and may there be mercy on your e-soul if you don’t have enough. If you lack three additional friends or gamers you barely know but trust enough to enter your home, this title simply isn’t even worth glancing at. I know this from attempting to play it myself and dying after only a few minutes. Even trying to just charge forward and find the boss on easy mode leaves you dead or close to it by the time you find it. On top of that, the audio is mildly interesting at best. The sound effects are unimpressive and sometimes comical, such as the sound of the warrior being hit, and the music is pretty bland overall. In fact, after a number of games (short as they may be), I genuinely don’t even remember what it sounded like. That should be the biggest take away of all. I remember fighting the urge to whip my controller across the room after only six minutes of gameplay more than I do anything about the game’s audio and somewhat unique looking heroes in a typical Steam-based free Unity engine coded title that really should have only been a dollar or two at best as an early access offering (or game preview as its called by Microsoft). Yes, this is an independent game created by Rochester Institute of Technology students, but even at the current price of five dollars [US] it needs so much more work to be considered a complete and playable title. Terrible controls, boring audio, decent graphics, and relentless hordes of enemies on the easiest of difficulties make this a party game nobody will really want to sit down and play instead of better local couch co-ops or twin-stick shooters that exist and come out every week, if not every day. Ten minutes solo or with a friend and you’ll want to break your controller, uninstall, and never speak of it again beyond putting in for a refund on Steam [which I envy you as you can’t if you buy it on the Xbox One which is what I did]. It’s a shame as underneath the clunky controls and dime-store audio lies a decent title better suited to on-line gameplay. 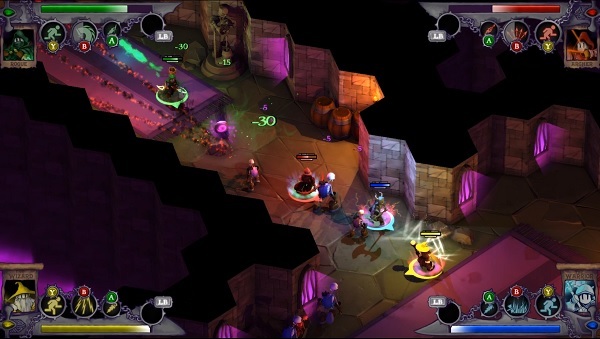 Until the team behind it learns more about tighter programming and can pull the game out of the coding depths or poor decision hell, save your money and pick up Ziggurat or a used copy of Dungeon Siege II. Digital review copy of this release provided by personal funds.